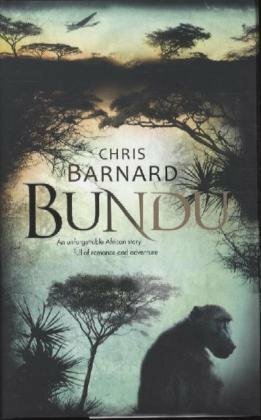 Well I must admit of all the books on this years Independent foreign fiction longlist ,this one came out of right field for me ,I was unaware of Chris Barnard and must admit haven’t read many Afrikaans novels from south africa .So this one has been for me a journey of discovery ,first to the writer .Chris Barnard ,studied art at the university of Pretoria in the fifties ,he then became involved with the Afrikaans writing group Die Sestigers a group of Afrikaans writers including Andre Brink (whom I have read ) ,Breyten Breytenbach (whom I have archipelago books collection by him they published a couple of years ago on my tbr pile ) and a few others .Any way they sought to voice their opions against apartheid from the Afrikaans point of view .Chris Barnard is also a well-known film and Tv producer in his home country ,his second novel Mahala is consider a south African classic ,he has written 18 books this was his last novel to be published in 1999 . The Baboon troop had originally not really been part of my research .simply because quite a bit of my research had previously been done on every aspect of their feeding habits .But Eugene Marais’s more or less scientific writings on his observations of Baboons in the Waterberg had fascinated me ever since childhood ,even though initially it had been a romantic enchantment rather than scientific interest . Well Bundu ,is set in Mozambique ,near the border with South africa in a remote part of the country ,in a small struggling Clinic ,we met them among them is pious nuns ,a drunken pilot ,the clinic volunteers and Brand `de le ray who is studying the local Baboons .During the course of the novel we see this group of people struggle as the rain have failed to come and we see how man is the same as the world around him when this happens we all need water and substance to survive ,along side this runs a love story involving Brand and someone from the clinic , as the tragic figures in this remote place are caught and waiting for much-needed help, are struggling to get by .Will Help get there ,how much have we in common with nature ? what is the aftermath of the war that happened between South africa and Mozambique . Sister Roma and Sister Erdman were both out of sorts ,and I spent the rest of the day helping Julia and Vukile in the clinic .There was a child with what seemed to be a broken arm and I tried to devise a splint .I sterilized syringes and carried a wet mattress out into the sun and helped make beds and fed weak patients .I tried to steer clear of the smaller ward with the seriously ill patients . The situations starts getting worse for the clinic all hands to the pumps . Have you a favourite South African writer ? Have you read many books translated from Afrikaans ? Damon Galgut is one of South Africa’s leading writers with a number of books after being published at 17 in 1980 with a sinless season ,this is his third novel and won the C.N.A South Africa’s leading literary prize ,He has also been shortlisted for the booker in 2003 with the good doctor ,he has also written several plays . The book revolves around Patrick Winter and his two visits to South West Africa the first as a solider ,and secondly with his mother who has recently got divorced ,the second visit his mother is visiting Godfrey her new lover a black swapo activist ,still a taboo at the time in South africa ,we also discover that Patrick had a great love on his first posting to South West Africa ,we are lead to belive this may have been a male love ,there is a funeral of a white activist from swapo that was killed ,the themes are love discovery ,change and new beginnings in this book . This is an amazing book for its short length ,and tackles the changing face of Southern Africa in the early nineties ,the breaking of long-held taboos and love between couples and a mother and son ,I read this book after some one on twitter recommend his new book but at the library it wasn’t there but this wonderful book was ,this book made me think as i work with a colleague from Nambia which is what south-west africa is now called ,and was also a great counter point to the purple violets of Oshaantu ,which i read after this book . Have you read any South African writers ? 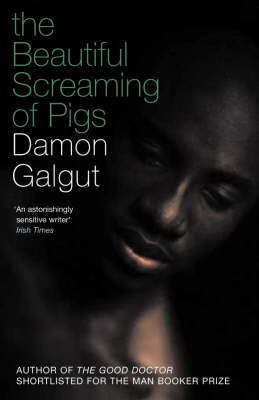 Have you read Damon Galgut ?